This entry was posted in St Andrews Table Tennis Club on January 24, 2014 by standrewstt. The three St Andrews table tennis teams that got back to league business all headed home celebrating wins this week. Swots’ division 3 fixture was postponed, leaving division 2 Prefects as the only team in action against Tigers in Victory Memorial Hall on Monday night. When Tigers turned up with only two players, thereby gifting a three point start after a late injury call off, Prefects (Kong Wan, Howard Lee and reserve Collin Bleak) might have been expected to win comfortably, especially after winning 10-0 earlier in the season. However, the tenacious Tigers had other ideas. Howard and Kong each won their first game (yep, that’s 5-0 already) but Prefects then lost four in a row, including the doubles and two games that were lost in the fifth set. Howard then faced Marion Davidson in the last game and the St Andrews players must all have breathed a sigh of relief when he closed out the game and the match with a 15-13 fourth set. Final score 6-4. Close. Division 2 champions designate, New Kids (Peter Bladen, Nick Shepherd and reserve Ian Smith) headed over the Tay on Tuesday to face Kings at Ward Road Gym. It was another routine win for the Kids with Pete Bladen preserving his unbeaten status in the league. Nick typically won two of his three matches and the doubles match, partnering Pete. Ian completed the scoring with one win. Final score 7-3 to the Kids. Comfortable. On Thursday, Prospects (Dave Beveridge, Neil Lea and Freddi Bienke) jumped in the car and headed to Monifieth High School for their division 4 match against the young Backspin team. Unfortunately for the youngsters the St Andrews team was in no mood for slip ups in their quest for promotion and they romped to a 10-0 win, losing only two sets on the way. Ruthless. This was Freddi’s last match for Prospects before she heads for a new job in Dubai. 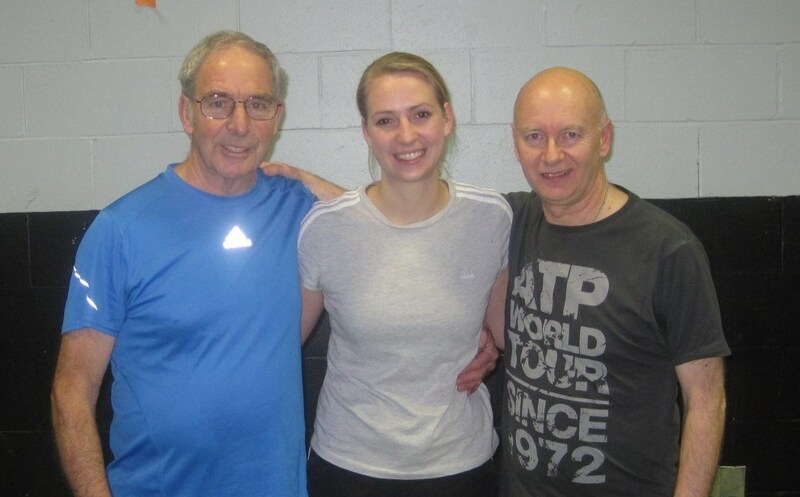 She leaves with a superb 73% win average and the very best wishes of all the members of St Andrews Table Tennis Club. This entry was posted in Match reports, St Andrews Table Tennis Club on January 24, 2014 by standrewstt. Three St Andrews’ players took part in another Scottish Veterans Table Tennis Association event in Bathgate on Sunday 19th January. Nick Shepherd, from New Kids, and Howard Lee from Prefects participated in the over 50s event, with Dave Beveridge (from Prospects) sneaking into the slightly less challenging over 60 group (on a bit of a technicality, he says). The guys thoroughly enjoyed the day and while none of them threatened to bring home any major prize they each won a few encounters over the course of the day and claim to have been good ambassadors for the club. 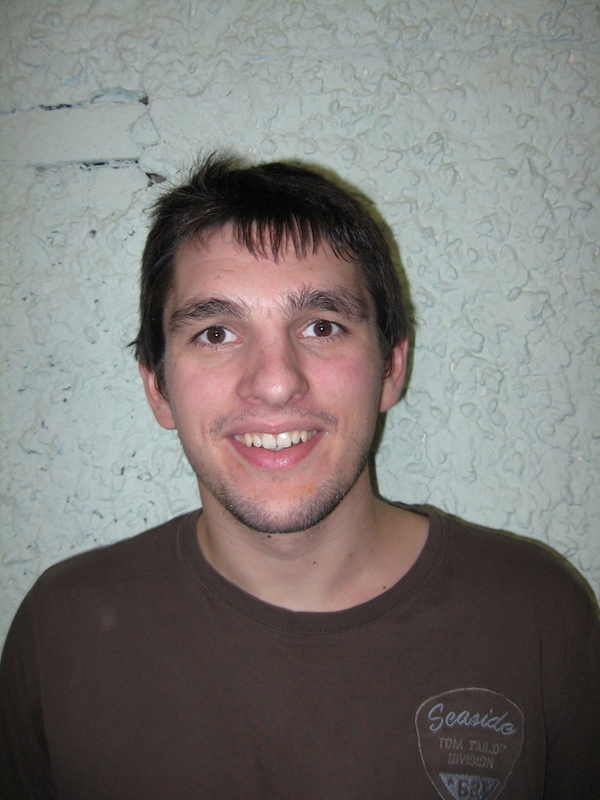 This entry was posted in St Andrews Table Tennis Club on January 20, 2014 by standrewstt. The third week of the new year saw a welcome respite from the rigours of league action as all four St Andrews teams competed in the first round of the DDTTA Handicap Cup. Players are handicapped according to their division and win percentage in the season so far. The three man teams plays two sets against each of their opponents – no doubles games. So, if your maths are up to scratch, you’ve already computed that the winning post is the first to ten sets. The action in Victory Memorial Hall, St Andrews on the Monday night was simply nail-biting. New Kids faced up to Prefects in a local derby re-run of the Secondary Shield final. However, this time Prefects took their revenge, inflicting New Kids’ first defeat of season. The match was on a knife-edge at 7-7 before Howard Lee blasted Prefects into a two set lead against Pete Bladen. Penholder Kong Wan then took to the table against Elaine Forbes and sealed the match for Prefects winning the first set 21-14. Final score 10-7 for Prefects. Sweet. On the adjacent table, Swots were hoping to set aside their league woes with a cup win against fellow third division strugglers Tass. This match was even tighter than the local derby. Swots were on the brink of defeat at 7-9 when big Dave Goddard faced up to Brian Hamill in the last game. Dave seemed to have Brian’s measure, winning both sets to take the match into an overtime deciding set. By now, the spectator’s gallery was buzzing with bets on Dave securing a famous victory. However, table tennis is another funny old game and after a disappointing start to the deciding set, on top of Brian’s handicap advantage, Dave and Swots narrowly failed to bring off the win they so desperately needed to lift morale. Heartbreaking. On Thursday, fourth division Prospects (fielding the soon departing Freddi Beinke, Vuksan Mijovic and debutant Federico di Pace) travelled to Fort Hill, Broughty Ferry to see if their handicaps and high-riding league form would be enough to unsettle first division Aces. And so it proved. Vuksan’s unorthodox style saw him comfortably win all of the four sets he played, with Freddi and Federico each winning three out of four. Final score 10-2 for Prospects. Terrific. Next week sees all four teams back in action in the leagues. This entry was posted in Match reports, St Andrews Table Tennis Club on January 17, 2014 by standrewstt. A young table tennis coach in London, Ben Larcombe, is taking on the tough challenge to turn a novice player into a top 250 nationally ranked player with a year of intensive coaching in 2014. His friend Sam (aged 24) is the experimental subject and they are training for one hour a day in Sam’s kitchen. Ben is making regular videos of Sam in action, so interested readers can follow his progress on YouTube. After only a few sessions, it is impressive to see the development in the consistency of Sam’s forehand and backhand drives. This entry was posted in Uncategorized on January 15, 2014 by standrewstt. Thanks to generous portions of Christmas pudding, players from St Andrews Table Tennis Club are all set to play weightier shots in 2014. In the first match of the new year, the New Kids waited patiently for the arrival of the Rollercoasters from Dundee College in a Division 2 encounter. One player turned up but his team mates were nowhere to be seen. Eventually he conceded the tie and returned home disappointed. A few minutes later, another Rollercoaster arrived to find his team had already lost the match 10-0. Nevertheless, he made the most of the evening and joined in an impromptu friendly tournament. Meanwhile, the Swots travelled to Dundee to play against the high flying Barons. It was a tough night for the Swots who were swotted by strong opponents. Emma Bissett and Dave Goddard picked up one win each for the St Andrews side. In Division 2, the Prefects earned a 5-5 draw against Defenders at Dundee and Angus College. Ian Smith picked up an undefeated hat-trick of wins for the Prefects and Howard Lee overcame Ken Head in five sets. Howard was also involved in the match of the night, a very tight five setter against Arthur Pritchard. Every set was decided by the narrowest of two point margins with Howard only just losing out 11-9 in the fifth game. However, Howard then combined well with Ian to win the doubles match against Ken Head and Scott Thomson. 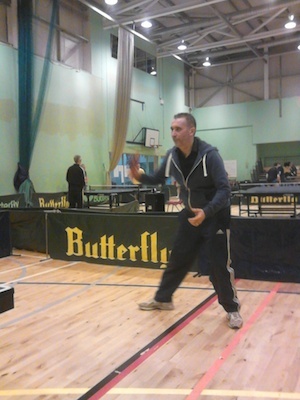 This entry was posted in Match reports, St Andrews Table Tennis Club on January 9, 2014 by standrewstt.